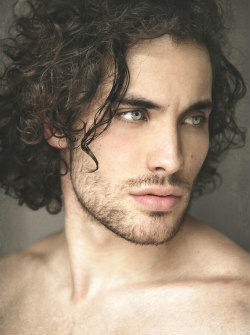 The youngest son of a Rivaini merchant, Valentin was always a wild spirit. Curious and intelligent, it was impossible to get the young man to shut up. He had opinions, he had ideas, he had things he wanted the world to hear, and he spoke them, no matter how they offended his father's clients and his Antivan mother's sensibilities. There was no stopping it, no ceasing the passion that came from the man like it fueled him just to feel. Just to breathe. Valentin was born with a hunger, a need to see the world, a need for freedom and learning that would not be ignored. By the time he was six, he'd read every book in his mother's library. By the time he was seven, he'd pestered his father into bringing him on trips with him. The sailing was exciting, and something new to learn, and he was nimble and took to the sea well. All was well and fine, really… So very fine. Until, of course, in the way of all such things, things stopped being fine. When he was twelve, Valentin stayed behind with his mother while his father was away on a business trip. He'd been feeling restless for weeks, like there was this uncontrollable something winding around his soul and he just needed to be away. His mother, though sometimes shocked by her youngest, was an indulgent woman. So they went riding. His mother fell, and was badly wounded. Dismounting, Valentin ran to her, and before he could even think she was healing. Creation magic, magic he didn't even know he had, fueled by fear and desperation and that unstoppable something that had always been in his heart. His mother lived, but her Antivan sensibilities did not like the fact that her son was a mage. When his father returned, Valentin was sent to the Circle of Dairsmuid. Things were… Okay. They were pleasant enough, at least. There was plenty to learn, and that got him through, at least. And he wrote. Every opinion, every theory, every… Everything. It was soothing, even, to put words out onto paper and have them last for something more than the fleeting madness that was his own stream of consciousness. In those years, he learned many things. Including that he had a knack for healing magic that couldn't be denied, and an affinity for spirits. His own twisted thought processes matched up readily with the strange logics of spirits well enough. But the young man chaffed, badly. Rivain was better with its Circle than most places in Thedas, but it was still a cage. A large one, but he had spent his youth sailing across Thedas, and this just was not enough. There was more to do! There was so much more to see! And so he planned an escape. One of his father's ships. It would have to be. While his father would be furious, he would not hunt down his own son. Further, he still had a rapport with a number of those men. And if he timed it right, he could catch them when they had profit to be gained. He loved his father, but the years had turned him greedy, and his men chaffed nearly as bad as the mage did. And so it was that he requested leave to visit his family. It was granted. And like a ghost in the night, the sixteen year old slipped from his old bedroom window. Stole a horse. Stole a ship. Half crewed and heavy with export that had been meant for a trip the next day, no less. And they fled, out into the sea, out into the wild, and out into, for Valentin, every adventure he could ever dream of. Port to port they jumped, little better than pirates. The export they'd had on hold at the beginning had allowed them to start something of a legitimate trade for those who wanted swift deliveries, but it was a humble amount. Though they answered to nothing but their own whims. Grown men with the want of gold, however, will only listen to the whims of a teenager for so long, however. A little more than a year later, they were done listening to his whims. Ported in Ostwick, they'd disembarked to stretch their legs, stay a night in an inn. But when Valentin woke in the morning, the ship was gone. Here, too, he wrote. He had written the whole time. Journals upon journals filled with a running tally of his life. Now, though, he wrote something else. Anonymous pamphlets, distributed through the cities through which he traveled. Pamphlets on mage rights. Pamphlets mocking leadership he found distasteful. Pamphlets making jokes out of merchants he found with shady practices. They were never going to do anything, these pamphlets, but they made him feel better. Having a voice, even if it was never attached to his name, soothed a soul now keening from abandonment. What these pamphlets did do, however, was draw the attention of another mage. Enter Belana, a bright, beautiful woman with a spirit that burned as hot as his own. He never did learn how she found him. But one night, there she was, in his inn room. There she was, like a force of nature, talking about freedom. Talking about drastic action. Talking about his mind inspiring her. It was a whirlwind, her brilliance offering a kinship he had never properly found before. He had words, but she was a magical savant. But over time, as they ran across Thedas, helping the Mage's Collective wherever they could, Belana grew… Paranoid. He couldn't ever find the source for her discomfort, only that running did not suit her. There were many things she never told him, playing upon the accepting naivete of romance and a young, vibrant mind. So when her paranoia lead her into a trap, Valentin had been right there with her. Starkhaven, the rumors of rogue mages had grown too hot. In her desperation, Belana turned to blood magic. Or tried to. He never had figured out quite how he had done it. He couldn't replicate it. But that day, when Valentin saw his lover open her palm, he had reached for her, though the feeling of blood magic made his skin crawl. But he couldn't let her kill people, not like this… Not at all. For all he had run, and he had stolen, and he had talked so much talk, Valentin wasn't the killing type. He couldn't do it. Somehow, he channeled her magic to him instead, some sort of terrible backlash of her blood magic and his spirit healing. It burned, it was awful, and it was flashy. Valentin passed out. For her blood magic, Belana was executed by the Templars. But Valentin, he was spared, for their belief that he had likely saved at least one of their lives. He'd gotten lucky, it was a reasonable squadron that had been sent to find them. When Valentin came to, however, whatever reaction between their magics that had occurred in his body had left him blind. That was ten years ago. Since then, Valentin has been from Circle to Circle across Thedas. He had been lucky, also, that he had been first brought to the Circle in Rivain, where they were never too keen to keep too much documentation, not being a properly Andrastian nation. So many missing pieces of information had spared his life, and his mind. And allowed him to go on to learn how to live in captivity. He made something of a game of it, over time. Seeing what the limits of each Circle would be before they sent him away. If he could not see Thedas of his own volition, he would goad the Circle into shipping him all over. At least he never actually tried escape. Valentin, while he has learned to cope with his blindness well over the years, knew he did not have the resources and skills necessary to run like this. Not yet. Maybe not ever. By far his favorite Circle was his last, in Orlais. It was pleasant there, at least mostly. While, yes, Orlais was a religious nation, without a doubt, there was a freedom in their hearts that he had learned to take pleasure in. In more ways than one. Most specifically with one particular Templar. He stayed there longer than any of the others. His wants were generally within the tolerable levels of the Circle, and he didn't want to leave, so he did not push too far. All good things, however, come to an end. The Templar Order has this nasty habit of granting commissions to people for which power corrupts. One of the Knight Lieutenants was one such. When his advances were met with no interest, the Lieutenant became forceful, and when that happened, that was met with a broken nose. With his record, having wounded a Templar who made as much of a fuss out of it as he possibly could, Valentin would not be allowed to stay. No, he would be sent to Kirkwall, where maybe someone could finally cool the firebrand down. Good luck, Meredith. Valentin was a strange creature. Well meaning, and genuinely compassionate, he does occasionally have something of a problem communicating with people. It's not that he doesn't talk, it's hard to get the man to shut up, it's that sometimes words come out sideways to his meaning. Offense when none is meant, or simply his words meaning something completely different to the person listening than he ever met. Perhaps it's his own strangeness, or the hodgepodge of mannerisms he has picked up over his years of travel, but it does prove to be occasionally distressing. Opinionated, stubborn, and unwilling to back down from what he knows to be right, Valentin is not someone easily forgotten. There are rumors that the first time he attended the College of Enchanters, that he spoke for hours on end about Mage rights and restructuring the Circle. Few things calm him, but those things that do he protects fiercely. And when someone has fallen into the category of 'patient,' he is utterly dedicated to their well being. Solace 20, 8:96 Blessed Valentin is born in Rivain. Kingsway 8:98 Blessed The great War of Shoes begins. Haring 1, 8:99 Blessed Valentin begins his first journal at the age of three. Drakonis 9:03 Dragon Valentin begins regularly accompanying his father on merchanting trips. Cloudreach 13, 9:09 Dragon While out riding, Valentin's mother is injured. Valentin's magic first manifests as he heals her, likely saving her life. Bloomingtide 10, 9:09 Dragon Valentin is sent to the Circle of Dairsmuid. Wintermarch 9:10 Dragon Valentin begins training as a Spirit Healer. Firstfall 25, 9:12 Dragon Stealing his father's flagship, a pale merchant vessel by the name of Perseverance, Valentin runs away from Rivain to take up a life of questionable legality from the Rialto Bay down to the Waking Sea. Wintermarch 18, 9:14 Dragon Fed up with his teenage whims, his crew leaves Valentin behind in Ostwick. Valentin begins travelling across the Free Marches. Guardian 15, 9:14 Dragon Valentin publishes his first pamphlet. Solace 1, 9:14 Dragon Valentin meets Belana, together they travel across Thedas doing work for the Mage's Collective. Guardian 15, 9:21 Dragon In Starkhaven, Valentin and Belana are caught by Templars. Belana turns to Blood Magic, and through Valentin's intervention, is unsuccessful in killing their pursuers. She loses her life, he loses his sight, and Valentin is brought into the Circle of Starkhaven. Haring 8, 9:21 Dragon Valentin is sent from Starkhaven to Jainen, where he does not remain long. This begins five years of his being moved from Circle to Circle with some regularity. Wintermarch 22, 9:26 Dragon Valentin is sent to the White Spire, where he remains for five years. It is around this time that he meets Garou. Firstfall 9:27 Dragon A plague strikes the Val Royeaux Alienage, and Valentin dedicates time to aiding the elven population through it. Guardian 4, 9:28 Dragon Having finally settled at a Circle for some time, Valentin is made an Enchanter. Haring 9:30 Dragon Valentin breaks the nose of a Knight Lieutenant in Val Royeaux in self defense. Wintermarch 9:31 Dragon After weeks of deliberation about the incident, it is decided that Valentin will be sent to Kirkwall to try and reform his behavior. Solace 4, 9:31 Dragon Garou arrives in Kirkwall after Valentin, bringing Tytos with him. Late Solace 9:31 Dragon Valentin begins being regularly seen wearing a new, and rather gaudy, Orlesian ring. Ever the great romantic, when Garou followed Valentin to Kirkwall, he came with a gift. 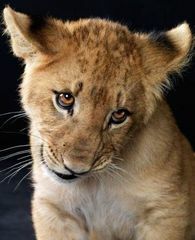 A lionette cub by the name of Tytos. Selected from his litter for his uncanny similarity to Valentin, he is curious, outgoing, and infinitely sassy. The fact that Garou and Valentin have both taken to treating him more like a toddler than a pet? That's incidental.